Simple checklist to check basic items in your student's writing. Spacing, line orientation, and letter size. 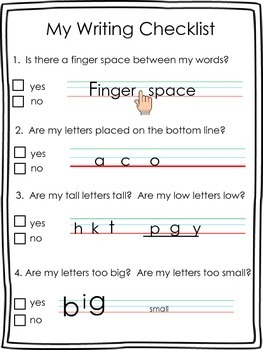 Easy to print, laminate or put in pocket protectors and keep neatly in a writing binder.